Many of us find ourselves walking life-changing paths we would never have thought possible. For some, those paths reveal themselves in the midst of challenging times. This was the case for Bruce and Annette Shepherd, founders of The Shepherd Centre. After becoming parents to two profoundly deaf children, Bruce and Annette Shepherd found themselves facing challenges that would forever change not only the course of theirs and their children’s lives; but the landscape of early-intervention for deaf children across Australia and the world. It was the 1960s and deaf children were almost always sent away to special schools instead of being integrated into mainstream education. Youngsters were taught to sign and finger spell so they could communicate but this alienated them from most of the hearing world and, often also from their own families back home. This seemed absurd to the Shepherds as it kept children from fully participating in the world around them – a world filled with sound. Determined to provide their son and daughter with the best chance at finding belonging and connectedness in the world, Bruce and Annette searched for a service that could teach their hearing-impaired children to listen and speak. Finding nothing suitable in Australia, they were not deterred and continued their search abroad. Extensive research led them to an American early intervention service based in Los Angeles. The John Tracy Clinic, founded by actor Spencer Tracy and named after his deaf son, modelled an approach embracing both the integrated educational values and family ethos that the Shepherds were searching for. Attending the summer program at the clinic opened up a world of sound and equality for their children; meaning they could comfortably find their place in mainstream school and reach their full potential as integrated members of their community. The attitude among Australian health and education professionals at the time was nowhere near as progressive. Bruce, an orthopaedic surgeon, began a dogged campaign to revolutionise the way local services and schools treated children with hearing loss. And what better way to change the face of early intervention for deaf children, than to prove with tangible outcomes that a new approach could really work. During the first five years of life (an age when children were ‘learning powerhouses’) they would teach them to listen and speak. With unquenchable personal motivation, the Shepherds were irrepressible in their endeavours to provide the gift of speech to Australian kids with hearing loss. They boldly opened a radical new service called The Council for Integrated Deaf Education. The service became the first early intervention agency teaching ‘Auditory-Oral Therapy’ to hearing impaired children in Australia. It was 1970 and five families were on the books. At a time when children who were deaf or hearing-impaired were typically segregated from the wider community, the new integration-focused approach was revolutionary. Not only would children be taught to listen and speak, but their families would also receive education and support to ensure long-term success for graduates. By the time a child graduated from the service, they would be equipped with the best chance possible at reaching their full potential in life. The Shepherd Centre (as it is now known) was brought to life by Bruce and Annette’s vision: children who are deaf or hearing-impaired developing spoken language so they may fully participate in the world and, in doing so, reach their full potential. The Shepherds had become pioneers in programs teaching children who were deaf and hearing-impaired to listen and speak. Their focus on the whole family, exceptional standard of care, holistic support model and passion for innovation went on to become hallmarks of the unique offering The Shepherd Centre is now known for around the world. Today the not-for-profit service has grown, with well over five hundred children and their families being helped each year. Current outcomes show the vast majority of graduates go on to attend mainstream school with speech and language skills on par with their typically-hearing classmates. A multidisciplinary spectrum of services is now provided through its six locations across NSW and the ACT. Remote and regional families can also access the service through tele-intervention and e-learning. The Centre remains an innovative force with its trailblazing research fuelling world-class service provision and new ideas that continue to open more doors of possibility for hearing impaired youngsters. From its beginnings in the seventies, The Shepherd Centre has stayed at the forefront of early intervention in its field. Staff are encouraged to keep searching for even better ways to do their work, exploring new avenues of transformation and, in turn, improving the effectiveness of the sector world-wide. Bruce and Annette Shepherd’s incredible legacy now survives them; with Annette passing away in 1986 and Dr Bruce Shepherd AM being farewelled in 2018. Their own pioneering story, as incredible as it is, was never the focus for the Shepherds. In fact, every member of the current team at The Shepherd Centre maintains the couple’s selfless dedication to providing the best service possible for children and their families. Through his work and his journey as a father, Bruce Shepherd was keenly aware of the significant issues faced by adults with hearing loss. To address this, he worked to ensure every child with hearing loss has access to help from the very beginning. 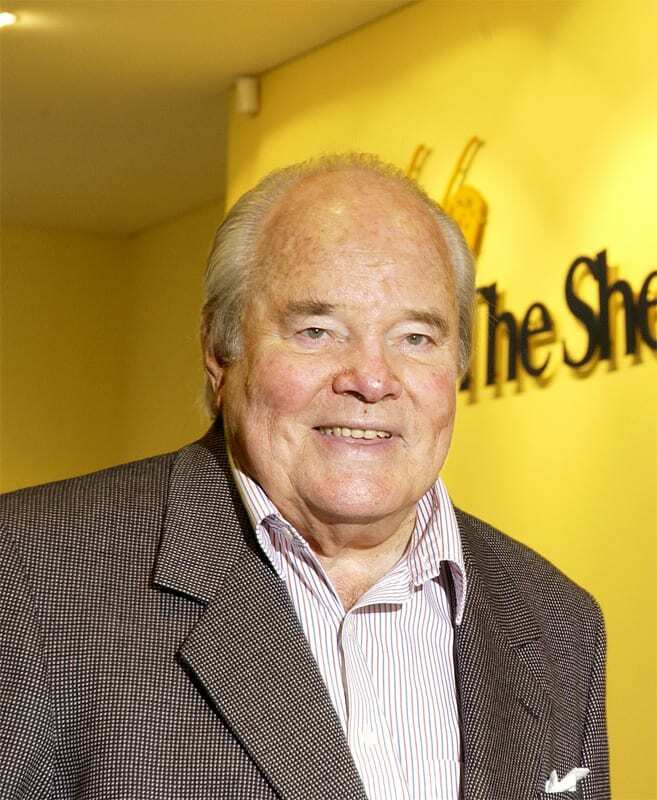 In addition to his work establishing The Shepherd Centre, he played a vital role in persuading the NSW government to introduce the Statewide Infant Screening – Hearing (SWISH): an early-diagnosis program for congenital deafness. His heart for advocacy and focus on the very young has helped create a new ‘normal’ for adults with hearing loss. Through The Shepherd Centre’s ongoing care, children with hearing loss grow to become equipped adults who can fully participate in society. The rich ‘tapestry’ of therapy doesn’t just include learning to listen and speak. Children are part of a vibrant support community and learn vital social skills through specialist programs. The world offers a greater sense of belonging for graduates through their improved access to mainstream education, increased opportunities for meaningful employment and a richer understanding of social connection. While awareness around the necessity of early intervention for children with hearing loss is steadily growing, a lot of ground is yet to be covered. Despite the immense cost and impact of unaddressed hearing loss on society, many children are not receiving the specialised support they need. According to The Shepherd Centre half the children who need help do not receive it. In recent years the Australian government introduced its National Disability Insurance Scheme (NDIS). The new approach individualises government funding allocation – giving people with disability the chance to choose their support services based on their unique needs. The government’s rocky start to implementation has brought many challenges to support services like The Shepherd Centre and those who need their help. Despite this, the Centre remains a passionate supporter of the principles of the NDIS and has been working at all levels to ensure a smooth transition and secure appropriate funding amounts for all who access their service. As Bruce and Annette Shepherd did before them, the current team of dedicated staff at The Shepherd Centre continues to advocate for children with hearing loss and their families. And, as the Shepherds also did, they look to the wider community for the support to do it. With more and more children needing their help, the Centre relies on community generosity to keep their doors open. The Shepherd Centre’s story began almost half a century ago when two parents faced new challenges. Today the challenges endure and the need is greater than ever. As with any great legacy, the transformative story of Bruce and Annette Shepherd lives on. Over time, people from all walks of life have come together to make the couple’s dream not only a reality but a growing vision that will continue bringing transformation and abundant opportunity to children with hearing loss. To find out more, scan the QR code or contact The Shepherd Centre directly. With centres also in Campbelltown, Canberra, Liverpool, Macquarie Hearing Hub, Wollongong, and online via tele-intervention.